This church was originally known as the Church of the Holy Trinity, Hall Green. 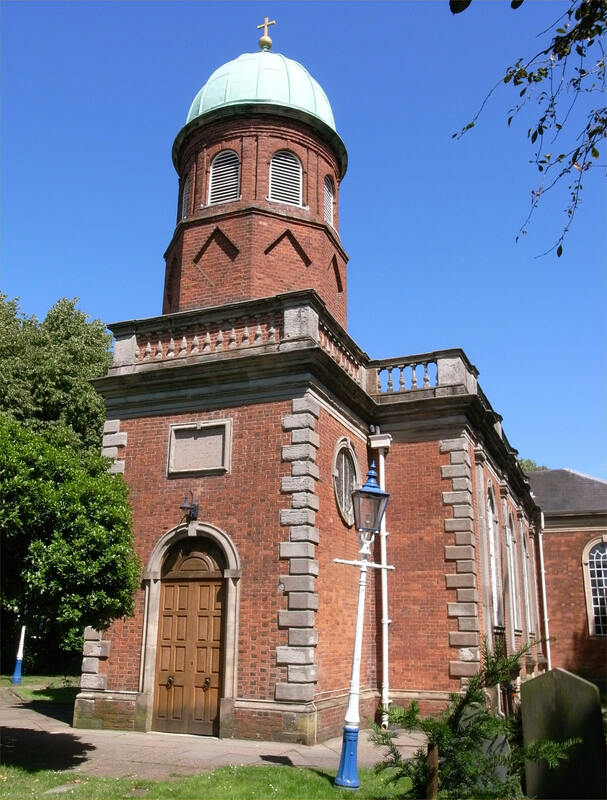 Completed in 1704, the church is believed to have been designed by Sir William Wilson and was named after Job Marston, a resident at Hall Green Hall, who donated £1,000 towards the construction of the building near the hall. It was consecrated on May 25, 1704. Until the foundation of the diocese of Birmingham in 1905, the city of Birmingham was situated on the boundaries of two ancient sees. The Diocese was divided into the two archdeaconries of Birmingham and Aston. In March 1907, the chapel became known as the parish church of Hall Green in the new diocese of Birmingham. In 1933, the patronage was transferred from the Trustees to the Bishop of Birmingham. On April 25, 1952, it was designated Grade II* listed status. simple C18 pulpit and painted early C19 Royal Arms.